uilding green is both a process and practice that is used to design and construct a structure in a manner that makes the least amount of impact on the environment. It aims at achieving energy efficiency and water conservation. It incorporates the use of durable and low maintenance materials and uses material in an efficient manner. C. Ross General Contracting knows the importance of using green building practices. Not only is it important to protect the wonderful Florida environment that we all enjoy but building green can save you, the homeowner, $green$ every month. 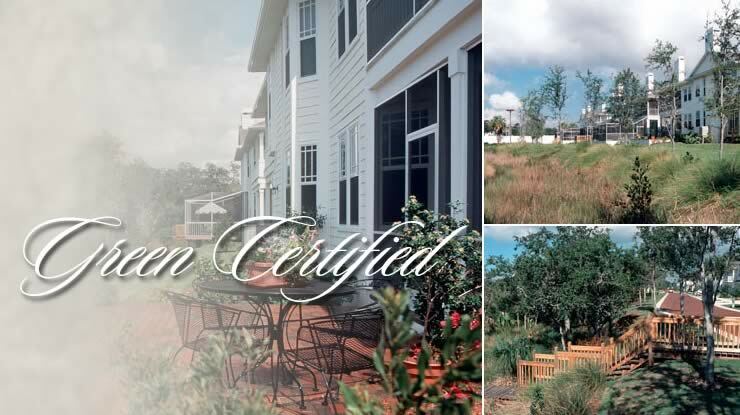 With a Florida Green Building Coalition certifying agent on staff, C. Ross General Contracting can guide you to your green dream home. Whether it is certified green home or just a home that is energy efficient, low maintenance and healthy, C. Ross General Contractor can make your dream home green. Accessory Structure- A structure which is on the same property as a principal structure with incidental use to the principal structure and has separated means egress. For example, a residential structure may have a detached garage or a pool house. AFV - Alternative fuel vehicle: vehicle powered by a fuel other than gasoline. Air infiltration - Uncontrolled inward air leakage through cracks in a building envelope. May also refer to air leaking outward (also called air exfiltration). Air Barrier - A material installed around a building frame to prevent or reduce the infiltration of air into the interior. ASHRAE-American Society of Heating, Refrigeration and Air Conditioning Engineers. This organization writes many of the installation standards for these systems. Backflow preventer - An anti-siphoning device on a water pipe to prevent water/liquid (which might be contaminated) from backing up into the water system. For example, the end of a garden hose lying in a flower bed could become contaminated by pesticide and back into the fresh water supply, if no backflow preventer were installed. Frequently required by building codes. Borate-treated wood – Wood that has been treated with borates to make it resistant to termites and moisture. Brownfields- Abandoned, idled, or under-used industrial and commercial facilities/sites where expansion or redevelopment is complicated by real or perceived environmental contamination. Building codes- Municipal ordinances that regulate the construction and occupancy of buildings for health and safety reasons. Building envelope -Elements of a structure, walls, roofs, floors, windows, etc. that separates conditioned spaces from unconditioned spaces . Built environment – A man made environment as opposed to the natural environment. Cellulose -The fibrous part of plants used in making paper and textiles, which may be made into building products, such as insulation. Cementations – Having similar properties to cement. Certified sustainably­managed forest -Forest harvesting practices that have been certified as sustainable by a qualified entity. The underlying guideline is preservation of a diverse forest that exhibits the same ecological characteristics as a healthy natural forest. Cistern -A tank that holds fresh water, typically rainwater. May be above or below ground. Composite material- Strong lightweight material that can be substituted for wood. Composting – Biodegradable organic matter that is used to create composite. Constructed wetland - A man made design modeled after natural wetlands. Convection -Transfer of heat by means of a moving stream of air or water. Cross ventilation -Passive cooling using outdoor breezes. Requires proper placement of windows and doors to optimize air movement through the building or room. Drip irrigation Above-ground, low-pressure watering system with flexible tubing that releases small, steady amounts of water through emitters placed near individual plants. Dual Flush Toilet-These are toilets that have two different settings, usually 0.8 gallons for liquid removal and 1.6 gallons for full flush solid removal. On the average they use about 2500 gallons per year compared to a 1.6 gallons single flush that uses about 4500 gallons per year. Eave - The portion of a roof that extends beyond the wall. Also referred to as roof overhang. Energy conservation – Decreasing the quantity of energy used or using energy in a more efficient manner. Energy or water efficiency -Using less energy or water to perform the same tasks. FBC Florida Building Code -A mandated statewide building code. The Florida Building Code is based on national model building codes and national consensus standards which are amended where necessary for Florida’s specific needs. The code incorporates all building construction-related regulations for public and private buildings in the State of Florida. Florida Product approval -The implementation date for the new Florida Product Approval System is October 1, 2003. Rule 9B-72 of the Florida Building Commission establishes a higher standard of practice for product evaluations, as well as uniformity and consistency of enforcement statewide. Fenestration -Architectural term for windows and their placement. Graywater or greywater -Water that has been used for showering, clothes washing, and faucet uses. Kitchen sink and toilet water is excluded. This water can be reused in irrigation for yards or for toilet flushing. Green development – Is a land use planning concepts that incorporates both community and regional wide envirmental implications as well as site specific green building practices. Green wash(ing) -To falsely claim a product is environmental benefits. Greenhouse gas – Gases that trap heat in the earth’s atmosphere. Carbon Dioxide, Methane, Nitrous oxide, CFCs, HCFCs, and halons are a few examples. HERS Index is a scoring system established by the Residential Energy Services Network (RESNET) in which a home built to the specifications of the HERS Reference Home (based on the 2006 International Energy Conservation Code) scores a HERS Index of 100, while a net zero energy home scores a HERS Index of 0. The lower a home’s HERS Index, the more energy efficient it is in comparison to the HERS Reference Home. Horizontal axis clothes washer( Front Load) - A washing machine that tumbles clothes rather than agitating the clothes. Uses less water and is gentler on the clothes. Impervious cover - A ground cover that does not allow water to pass through it to the soil below. Many jurisdictions have restrictions on the amount of impervious cover allowed on a building site, in order to reduce stormwater runoff and resulting non-point source pollution. Indoor air quality (IAQ)- As buildings are better sealed, indoor air quality suffers unless steps are taken to improve the exchange of fresh air without sacrificing the efficiency of heating/cooling . The cleanliness or health effects of air in a building is affected by the amount of compounds release by various materials, carbon dioxide levels, and microbial contaminants. IAQ is heavily influenced by both choice of building materials (and cleaning procedures) and ventilation rates. Infill - Developing on land within an urban area rather than on new undeveloped land outside the city. Infill development helps prevent urban sprawl and can help with economic revitalization. Infrastructure – Resources provided by a municipality( city, county or state) or privately provided, including roads, highways, water, sewage, emergency services, schools, libraries and parks. Insulation A material (e.g., fiberglass, rock wool, cellulose, straw) which separates or inhibits the movement of heat or sound. Typically installed around a living space to improve comfort and reduce heating and cooling bills. Material having a relatively high resistance to heat flow. Measured by R-value. The higher the R-value, the more insulating the material. If used to lessen sound material is rated by STC. Life-cycle -The series of stages that a product, beginning with acquiring producing the raw material continuing with its fabrication, manufacture, construction and use. Concluding with recycling, or waste management options.  Linoleum - A durable, flooring material made primarily of cork and linseed oil. Locally sourced materials -Materials obtained locally from a project site, helping to support the local economy and reducing transportation costs and energy. Low E-Low-emissivity windows glazing that has special coatings to permit most of the sun’s light radiation to enter the building, but prevents heat radiation from passing through. Mixed-use development - A development that has a combination of residential, commercial, industrial and professional office. An example would be Hyde Park located in Tampa Florida. Mulch - Natural or manmade protective material placed on the soil surface to conserve soil moisture, prevent erosion and control weeds. Native vegetation - A plant that occurs naturally in a particular region, state, ecosystem and habitat without direct or indirect human actions. Neotraditional planning -Also know as TND Traditional Nationhood Development this type of planning minimizes automobile use and is pedestrian friendly. Includes a town center and open public areas. Nonrenewable fuels - Fuels that cannot be easily made or "renewed." We can use up, or exhaust, nonrenewable fuels. Oil, natural gas, and coal are nonrenewable fuels. Non-renewable resources - Natural resources that are consumed faster than can be produced. Thus they are limited resources that could lead to eventual depletion. Passive building design- Incorporates the orientation of a building to take advantage of the natural resource like sunlight and cooling breezes. Permeable – To have pores or openings that allow passage of fluids/gases. Photovoltaic’s (PVs) - Solid-state cells that convert sunlight into electricity. Pressure-treated wood - Wood that is chemically preserved to prevent moisture decay. Radiant barrier -Typically foil faced plywood that is designed and used to transfer radiant heat. It is often installed in attics under the roof decking. resources such sunlight, wind, water, or geothermal. Renovation -A process of upgrading an existing building. This may include upgrading electrical and plumbing or simply changing out dated interior cabinetry and appliances. Restoration - The process of bringing back an existing building to its original state. R-value -A unit of thermal resistance used for comparing insulating values of different materials; the higher the R-value of a material, the greater it’s insulating properties. SEER- Seasonal energy efficiency ratio: the total cooling output of an air conditioner during its normal annual usage period for cooling, in Btu/h, divided by the total electric energy input during the same period, in watt-hours. (in other words, the measure of the energy efficiency of the air conditioner). The higher this number the better. Sensible heat Heat that raises the temperature of a material without changing its phase. Sensible load Heating or cooling load required to meet air temperature requirement for comfort. Soffit - The enclosed underside of an eave. Some eaves are not enclosed and have exposed rafter tails. . Solar collector – A device which converts the sun’s energy to a usable and storable form. Structural insulated panels (SIPS) - SIPs are manufactured under factory controlled conditions and can be custom designed for each project. The panels can be used for floors, walls, and roofs. The panels are typically made by sandwiching rigid foam insulation between two sheets of structural sheathing (OSB). Stud - Vertical wall framing members. Can be made of wood or metal. Sustainability - Meeting the needs of the present without compromising the ability of future generations to meet their own needs (as defined by the Brundtland Commission, 1987). Task lighting - Illumination for a specific work area or task. Vapor retarder/vapor barrier - A material which prevents or reduces the passage of water in vapor. Volatile organic compound (VOC)- Typically found in fumes that are emitted from paints, lacquers and other products. The fumes can cause nausea, tremors, headaches, Some believe they can cause longer-lasting harm. Wetland - Wetlands are areas where water covers the soil or is found near the surface of the soil either year round or seasonal. Xeriscape - Comes from xeros (Greek for "dry") and landscape. A method of landscaping that uses drought-resistant or drought-tolerant plants. Zoning- A legal term that used for municipalities to control and promote orderly development by regulating the use of privately owned land through enforcement. Zone Cooling- Controlling the airflow for various rooms or zones in a home or office, directing heating or cooling where is needed at various times of the day. Zone Irrigation- A grouping of sprinkler heads operated simultaneously by the control of one valve.